They say it takes a village to raise a child. 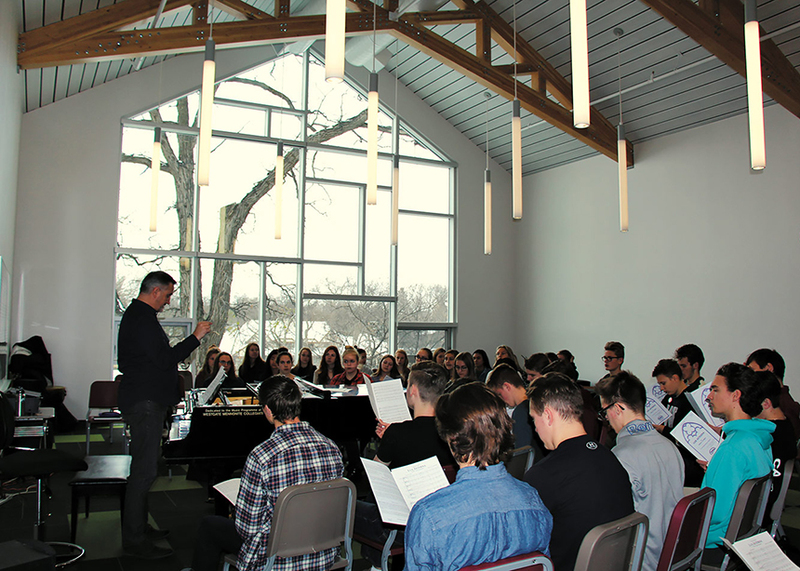 For Westgate Mennonite Collegiate, it takes a village to not only raise its 300 students, but also to complete a $10.3-million redevelopment project. 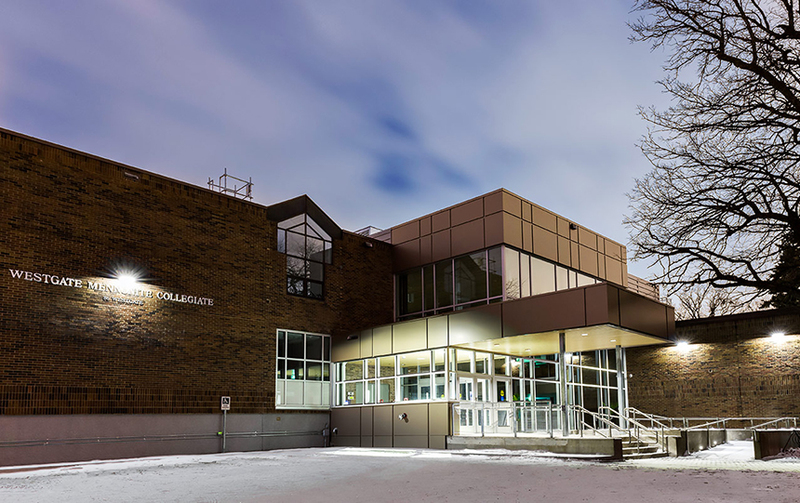 Westgate, a private school located in Winnipeg, finished renovating its building just in time for the 2017-18 school year. 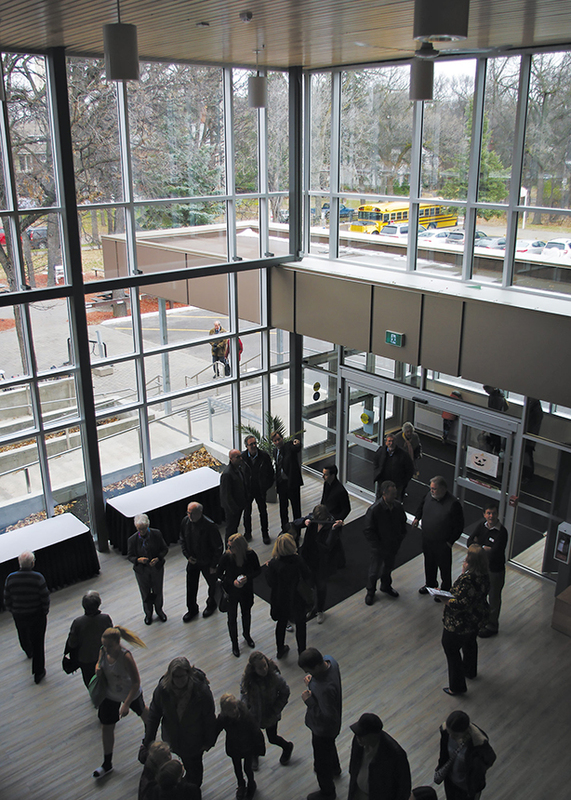 Among the school’s exciting new features are a large atrium, separate choir and band rooms, a fitness centre, a junior science lab and increased energy efficiency. Westgate only increased its space by 600 square metres, yet it feels like there is a lot more room and everything is more open and accessible, says Natalie Friesen, a Grade 12 student and senior-high student-council co-president. Almost the entire school is renovated, with the exception of a few rooms. “It was only when everything was done that it was clear what a good job the architects did with the melding [of] the old and the new sections,” says principal Bob Hummelt of the work done by Prairie Architects Inc. and Bockstael. Westgate’s new space didn’t come without its obstacles, though. Vice-principal James Friesen says there is no doubt that moving to a new location for a year was the biggest challenge. Westgate relocated to Chapman School for the 2016-17 school year, which involved moving the entire contents of the school out of 86 West Gate and into the new school or storage. Andrew Hutton, Natalie Friesen’s fellow classmate and co-president, says that students ended up adjusting well, though, and had a good year because the core of Westgate stayed the same. “It’s not just the school [building], it’s the people too,” he says. “It’s been cool to see that even though we’ve been in all these different places, that Westgate the community has stayed the same, and we’ve kept doing the same things and it hasn’t really changed how the school works,” Natalie Friesen adds. This community is made up of not only students and staff, but of broader Westgate connections as well. James Friesen says that the redevelopment project has really shown the strength of this community. Westgate was flooded with volunteers when it requested help for the physical move out of, and back into 86 West Gate. “It wasn’t just a couple people. There were way too many volunteers,” he says. Without them, the move would have been far too expensive and more difficult. Westgate’s newly renovated building is an impressive feat, completed within a strict 14-month time limit and under budget by $200,000. This is particularly remarkable, considering how Westgate struggled at the beginning. 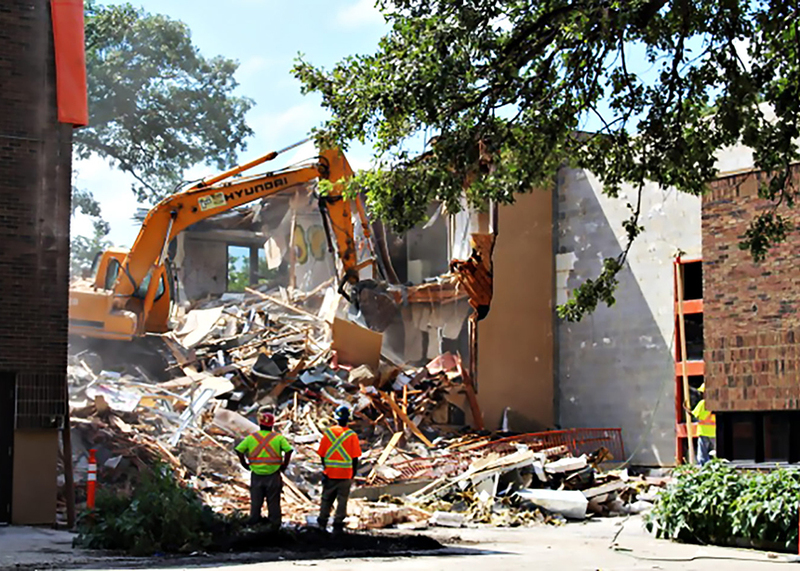 With the deadline of a required start date fast approaching in April 2016, the school was still searching for somewhere to relocate for the year of construction. “It really did look bleak,” Hummelt says. Then within just weeks of the deadline, it secured Chapman School and could proceed with the project. Hummelt credits the board’s hard work and the prayers of the community for this small miracle. To date, the Let Inspiration Shine fundraising campaign has raised, or received pledges for, a little more than $7 million. This, too, has been the work of the community joining together. Rather than being sponsored by just a few major donors, Westgate’s redevelopment has been funded by a large number of people and a wide variety of contributions, says James Friesen. However, there is still work to do to reach the $10.3 million goal. He says the school will continue to trust in the support of the community that has been so strong.